You may be surprised to read that we don’t recommend rice cereal as baby’s first food! What, then, if not rice cereal? We have covered this topic fairly extensively, and so have others in our community in articles and in books. As such, we will simply link to various resources rather than replicate the information here. We recommend the free online reference Baby’s First Foods Chart created by Annika Rockwell, Certified Nutritionist, for an an overview. Our How do you define processed foods? article, which focuses on the topic of rice cereal for babies, which we don’t recommend. What was your baby’s first foods? Our daughter wasn’t interested in solids until about 7 months of age. Her first food was soft boiled egg yolk. We followed that with a ground bison mix from our farmer’s market, which contains bison meat, liver, and heart. She loved it! We’re looking forward to telling her later in life that one of her first foods was bison heart. The rice cereal recommendations are so prevalent with pediatricians and childcare providers. 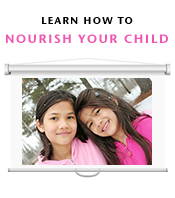 Instead, we are following the guidance to not introduce grains until 2 years of age. We were fortunate to find this website and the linked resources prior to introducing solids.